An eyewear retainer with an edge, The Adjustable Orbiter takes the simplicity of The Orbiter and adds a double-adjustable bead. Lightweight stainless steel makes it sleek and durable. 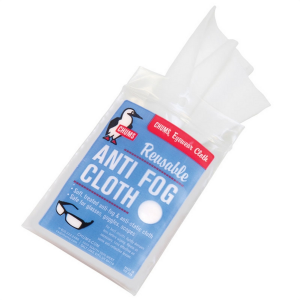 This eyewear anti-fog kit cleans and prevents fogging on glasses, sunglasses, ski goggles, binoculars, diving masks, gun scopes, helmet visors and other surfaces subject to fogging. Not for use on anti-reflective lenses. Heavy duty webbing, custom molded rubber grip handle. 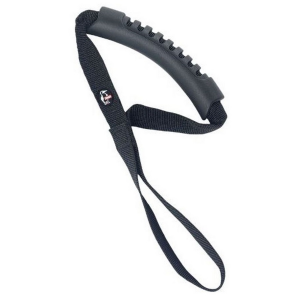 One loop attaches to boots, molded handle fits your palm for comfort. The Chums Cap Retainer keeps you and your hat together on windy days. Chums is proud to partner with Flyvines to recycle used fly line and create eyewear retainers and other outdoor accessories. Chums bestselling flotation eyewear retainer since its intro in the '90s, the Glassfloat fits most frames and will float up to 45g (1.5 oz. ), making it perfect for all but the heaviest glasses. 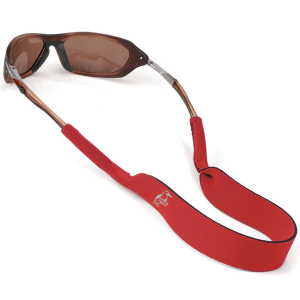 These beefy suspenders can be used for skiing, hiking, climbing or any outdoor activity. 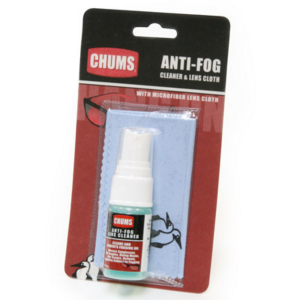 This all-cotton, easily adjustable Chums retainer is ideal for all forms of action, be it on water, land, snow or in air. The Original has it all: quality, comfort and the ability to fit most frames. Need an extra case for your eyewear? 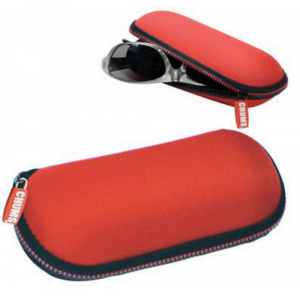 The rigid, exoskeleton Chums Shade Shell sunglasses case protects your eyewear. 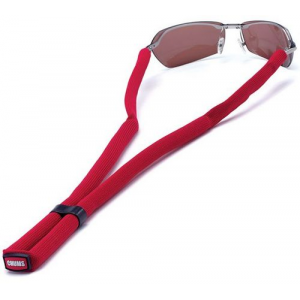 Its versatile size protects a variety of glasses.